This article is Part 2 of the Asian and Western Minds essay. Read Part 1 here. Together, they are the fifth edition of an essay series on worldview, titled Between Jerusalem and Athens. Read the first here, the second here, the third here, and the fourth here. In Part 1, we discussed the ancient philosophies that rooted the differences between the Western and Eastern worldview (see definitions of Western and Eastern in Part 1 of this article). Here, we continue with the specific ways in which they differ. Below are the key findings from a series of social psychology experiments done by Professor Richard E. Nisbett of the University of Michigan, which are outlined in the book The Geography of Thought: How Asians and Westerners Think Differently… and Why. Because Easterners pay more attention to the environment and Westerners attend more to objects, Easterners are more likely to detect relationship among events than Westerners. Cause and effects are explained differently—the Easterners would attribute events and behaviors more to environmental causes, and Westerners more to the actors. Westerners tend to believe that they can control situations more than Easterners. Because Easterners see the world as complex and interconnected, their sense of personal agency is less compared to Westerners. A large consequence of the Western view is the magnificent scientific progress in the Western world. Indeed, I believe, this is where Western thinking have deep advantages, and why science—or modern science as we know it—was largely a Greek endeavor. 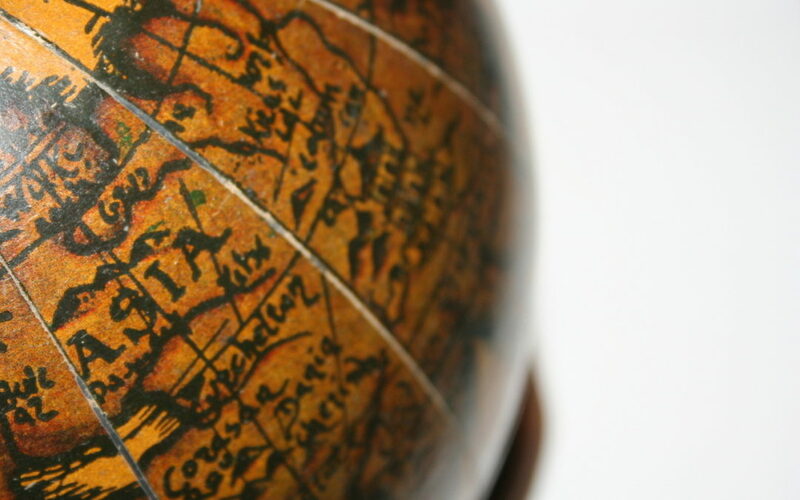 Westerners organize the world into categories while Easterners emphasize relationships. When Westerners group things, they do it based on whether they can be described by the same attributes, certain inherent properties of the objects. For Easterners, things are classed together because they influence and relate to each other. When confronted with apparent contradictions, Westerners are more inclined to insist on the correctness of one belief vs. another, whereas Easterners would try to find the Middle Way, transcend them and find the truth in both. The Principle of Contradiction – “because the world is constantly changing, oppositions, paradoxes, and anomalies are continuously being created” Opposites complete each other; they cannot exist without the other (Yin and Yang). Thus, apparent contradictions are in fact active harmony. These principles compel Easterners to find the middle ground between extreme propositions. In the Western thought, there is a counterpart to the above principles in the Hegelian or Marxist dialectic: thesis, antithesis, and synthesis. However, this form is seen as more aggressive because the purpose is to bolster one side and obliterate the contradiction rather than transcending the arguments. The Law of Identity – a thing is itself and not some other thing. This thing is also consistent regardless of the context. The Law of Noncontradiction – a proposition can’t be both true and false. A and not-A cannot be true at the same time. The manifestations of these paradigms are reflected in the different ways Western and Eastern societies approach education, medicine, business–essentially all aspects of life–and can create misunderstandings in cross-cultural contexts. Results such as Nisbett’s are valuable for both Western and Eastern minds to understand each other. Of course, the world is not divided as nicely as the East-and-West dichotomy. There are spectrums of worldviews around the world that we need to be more aware of, and I am now intrigued in mapping the world’s key thoughts to better understand humanity’s diversity and similarity. Returning to Nisbett, it was hard for me not to abstain from performing self-diagnosis while reading a book like this, especially because my place of birth and upbringing is literally on the other side of the world where I currently live and work. I am both Eastern and Western, if calculated by the time I’ve spent in each world, near 50-50. Come back and visit the blog for an upcoming post on my personal cross-cultural experience!